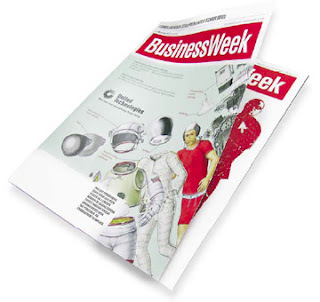 BusinessWeek is up for sale. The loss-making business has become "a continuing distraction" for publisher McGraw-Hill. I don't think the current operating model for online newspapers and magazines, such as BusinessWeek, will survive much deeper into the 21st century. For my business startup, I'm exploring what kind of new operating models might work better for online publications. Many people have many ideas as to what shape publications will take in the future. I've speculated on this myself. Even BusinessWeek has speculated on possible new models for its own future. Yet, as soon as you start executing the idea - the dreams and aspirations meet the dirt and grind of the floor. So two weeks ago, with time running out, I started going about building the prototype myself. I started my career as a software developer, after all, and my undergrad was in Computing. However, having not done any software development in almost four years, I thought I would struggle - particularly since the programming language is new to me - Python. Yet, it has been less of a struggle than I anticipated. What is a challenge, however, is pulling together something that will be sizeable for anything other than demo purposes. Yet this might be enough. My plan is to spend the Fall quarter at Kellogg pursuing potential customers who may give me enough money to develop a fuller software solution over the summer internship period. The dirt and the grind may not be too pretty, but hopefully there will be enough before school starts to get others to buy into the vision and dream. The prototype just needs to be suggestive enough to let the minds of potential customers go wild. If it can capture the hearts of Northwestern's software developer type students, who might then help develop it further, that'll be even better. As to what to call this prototype / business / idea... I wonder if I could get a student loan package to cover the debt associated with BusinessWeek brand? Probably not. Hey - we really enjoyed reading the awesome posts on your blog. We'd love to feature your blog on our new website for business students (www.businessbecause.com). If you are around, please contact Maria (bloggers@businessbecause.com).